A year has passed since a gunman opened fired into a sea of concert goers at a country music festival in Las Vegas. To date, it is the deadliest mass shooting by an individual in American history, leaving 58 dead and 851 injured. Yet despite the high number of casualties, the Las Vegas massacre was out of the news cycle almost as quickly as it appeared, and survivors feel forgotten by a nation whose focus seemingly came and went. They’re part of an increasingly familiar and uniquely American genre: the “where are they now?” story for survivors of mass shootings. The New York Times profiled several survivors about their lives after the tragedy. Many suffer anxiety, spiraling into fearful fits at loud noises and discomfort in crowds. Forty-one-year-old Jennifer Campas, who survived a bullet to the forehead and a subsequent coma, says she dreams about being shot. Today, the sounds of her son’s flip-flops against the pavement startles her. Ms. Wilson is back at work, the word “survivor” now inked on her arm. But the shooting is a perpetual shadow. She has nightmares; she is scared of sirens and helicopters. The field where she teaches is a particular anxiety. It is frequently filled with children. It is also surrounded by hills and homes. She is constantly scanning for snipers. The school is just miles from the 2015 shooting in San Bernardino, Calif., and already the staff has turned it into a fortress. When he tries to stand alone, his knees often buckle, and he falls to his rear, he said. At the end of therapy, he is exhausted. In the wake of the Vegas shooting, there was the perfunctory discussion of gun control and debates over whether or not the bump stocks the shooter used to deadly effect should be banned. But the news cycle around American tragedy, as is so often the case, fizzled out after a week or two. 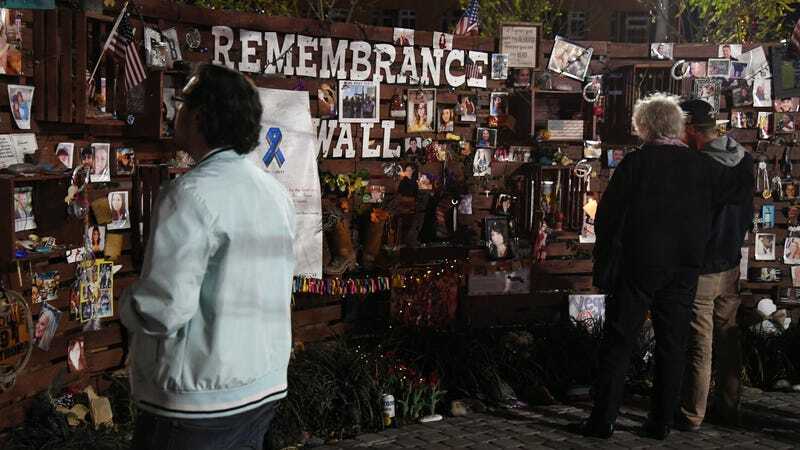 And then there were the survivors, who have been largely forgotten a year and a few more mass shootings later. But the survivors of the Las Vegas shooting are more than just statistics. They’re real, they’re brave, they’re terrified, and they deserve a safer world that too many politicians are dedicated to deny them.